I absolutely LOVE cranberry sauce. I make it all year long and serve it alongside meats, in salads, and even mixed in with my homemade yogurt. I typically will make it over the stove with some honey and a few spices, turning out tart and fairly bitter. That is until I experimented with making cranberry sauce in my Sous Vide. Wow. Game changer! I still only added about a TBS of honey but it was no longer tart or bitter, rather the flavors from the other spices were actually infused into the sauce, creating the most amazing, aromatic flavor! Now I won't make cranberry sauce any other way! This recipe is also very versatile, if there are flavors you like, add them! I have made this a few times playing around with different ingredients so I don't think there really is a wrong way to make this. This recipe also turns out fairy cinnamony due to the essential oils and spice, so if you're not a fan, you can omit the spice or cinnamon stick. 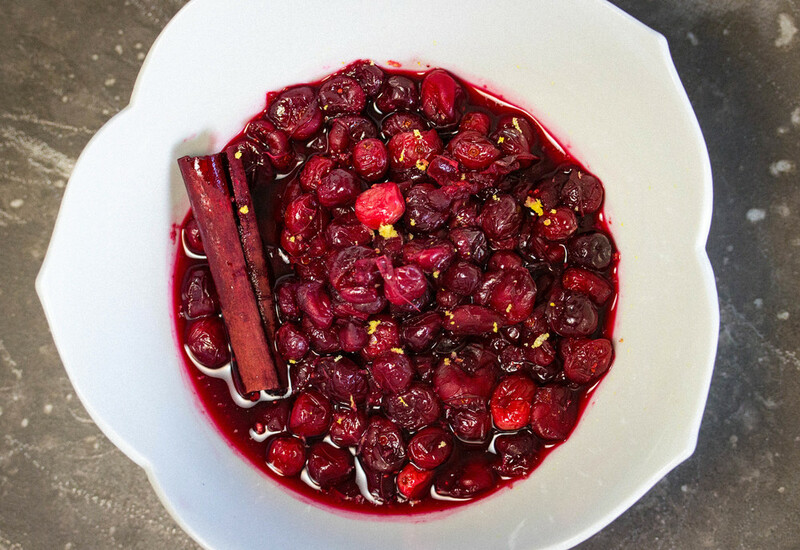 Place cranberries in a sealed bag along with remaining ingredients (except orange zest). Heat water bath to 185*F and cook for about 2-3 hours, depending on how you like your sauce. I cooked mine for about 2 hours. Remove from bag and garnish with orange zest. If you like a thicker sauce, you can add contents to saucepan and bring to boil, stirring occasionally, until sauce reaches desired consistency.